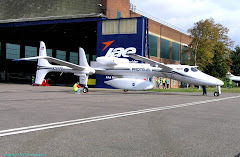 Cranfield (EGTC) Aircraft Images: Have you got Skype? Your friend Anthony Lavington (Skype Name: anthonylavington) wants to talk to you for free using Skype. Hi! Just dropping you a quick note to let you know I'm on Skype. If you download it too, we can call, video call and instant message each other free - even if we're on opposite sides of the world. Plus, it's free to download. Get it and add me as a contact! My Skype Name is anthonylavington. Why get Skype? What do I need? Free calls. Make free Skype-to-Skype calls over the internet to anyone else on Skype. Computer or mobile device. Skype works on nearly every kind of computer and on many mobile devices as well. Free video calls. With a webcam you can make free Skype-to-Skype video calls. Internet/WiFi connection. A broadband connection is recommended for computers. WiFi required for mobiles. Call phones. Call landlines and mobile phones anywhere in the world at great rates. Speakers and a microphone. Some computers have these built in, but you'll enjoy better call quality with a headset. You're just one step away from making free calls to other Skype users. © 2003-2010 Skype Limited. Skype Communications S.a.r.l., 22/24 Boulevard Royal, Luxembourg L2449.